Zhao Changjun was born in Xi’an city in 1960 October at a Hui ethnic family. Now he is a member in Chinese Wushu Association, Deputy Chairman of Shaanxi Provincial Wushu Association, Vice Chairman of Shaanxi Youth Association, General Coach of Shaanxi Provincial Wushu Team, and President of China Shaanxi Zhao Changjun Wushu Institute. As young as 6 years old, Zhao Changjun had been learning martial arts, and at 10 years old he was enrolled into Shaanxi Wushu Team and became to accept the professional training systematically. In 1972 he took part in the national Wushu competition for the first time and drew the full attention of the martial masters with his excellent performance. In 1974 Zhao Changjun went to Japan with Chinese Youth Wushu Team and was rewarded as the Youth Wushu Diplomat for his outstanding skills and will. Between 1978 and 1987, he got numerous prizes in international and domestic tournaments with as many as 54 pieces of gold medals. Since 1980 he successfully played the major role in Wudang, The Sword, The Legend of the Light and so on. 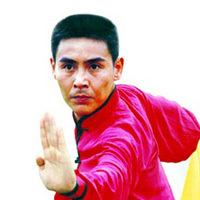 Zhao Changjun has gained a fame as The Prince of Wushu with his wonderful Kungfu and elegant image in the screen, and makes great contribution to the promotion and transmission for Chinese Kungfu.